Octoplus / Octopus Box Samsung Software v.2.0.0 is out! 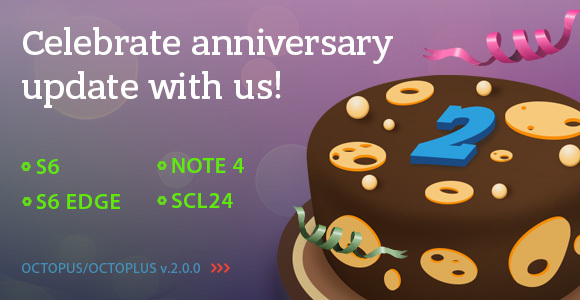 We are proud to announce the anniversary v.2.0.0 update! The long awaited solution is here now, so grab your box and start unlocking! Don't have it yet? Get your money-making machine now! More and more interesting updates are coming! And don't forget - all will be free. No annual fees, no additional activations.. Always ready to serve! As usual, we have uploaded into the Support Area new Certificates files! New QCN files were uploaded as well!